To me none of those questions seem as daunting as "where do we find $2 billion for the red line extension given the transit preferences of the present administration?" The gray line will cost money and require political wrangling (and rationalization of south side bus lines), but no estimate puts the total cost at anything approaching $2 billion, and Metra loses money on this line anyway and should be amenable to the CTA taking it off their hands. Payne's proposal calls for the maintenance of commuter rail rolling stock on the gray line, but I personally don't see the point of this. Just turn the whole thing into a rapid transit line, running standard subway cars. Build a (non-revenue) connection to the green line somewhere around Roosevelt or McCormick Place with the $2 billion we're saving. Freight trains don't run on the Electric District anyway, so there's no need to maintain its current freight-friendly classification. This might cause trouble for the South Shore Line, which wouldn't be able to continue downtown, but passengers can simply transfer to the gray line at 115th or wherever in the same way yellow line and purple line passengers transfer to the red line at Howard. The city needs to extend the L south of 95th. There are two possible ways of doing this: spend $2 billion on a red line extension to 130th, or spend significantly less to convert the MED into an L line. The logistical challenges posed by the gray line are nothing compared to the logistical challenges of convincing the Trump administration to give Chicago a billion dollars and change in transit funding. To put this to a close, I don't know if @mahatta is a sock puppet for the personn who no longer is the advocate for the dead Gray Line, but it is as dead as, say, bringing back the 5 Cottage Grove South Chicago streetcar. CTA never had any incentive to send revenues to Metra, and the last restructuring of the ME schedule shows that Metra has no interest in serving the very few passengers in the city. The only reasons I originally cited the statistics here were that they were in the Red Line documentation and they showed that there were miniscule boardings on the ME in the study area. Since, as @artthouwill pointed out, the reason for the extension is to move the bus to L transfer points south of 95th, the burden is on you to demonstrate not only that those riding buses between 103rd and 119th would rather ride the ME than the Red Line, but that bus riders from 95th to 63rd would give up the Red Line for the ME. Nobody has demonstrated that so far, and until that is, neither agency has any incentive to pay for transfer privileges or any additional capital or operating costs. Does my posting style resemble that of whoever it is you're talking about or something? I doubt it. There's no need for Metra to receive revenues from the CTA for the gray line (or gold line, or whatever) to work. The CTA and Metra are both controlled by the state, and if the state wants to reassign the Electric District from Metra to the CTA it has that power. The question is: should it? If there's any sort of argument that it shouldn't I'm all ears. Metra's desires aren't really relevant. The reason for the extension is to move the bus to L transfer points south of 95th. The gray line would provide L transfer points south of 95th. There is no reason any commuter would insist on traveling to the 95th red line stop instead of a closer gray line stop. People don't care what color the line is so long as it goes where they want to go (in this case: downtown). Current red line riders from 95th to 63rd aren't going to switch to the gray line (nor is there any reason to want them to), but there are plenty of residents of the lake shore (including, notably, in Hyde Park) who would be well served by the gray line for whom the red line is irrelevant and the red line extension even more so. We're currently discussing a $2 billion red line extension, the lion's share of the costs of which the city and the state will have to shoulder in the absence of a partner at the federal level. Seems to me that everyone involved has a very strong incentive to accomplish the goal of L extension south of 95th for a fraction of the cost and in a fraction of the time via reassignment of the Metra Electric to the CTA. It sounds at least as uninformed about government operations, and certainly economics, as his. There's no need for Metra to receive revenues from the CTA for the gray line (or gold line, or whatever) to work. The CTA and Metra are both controlled by the state, and if the state wants to reassign the Electric District from Metra to the CTA it has that power. I'll preface this by saying that I once supported abolishing the service boards. The legislature raised the sales tax but ignored all reform proposals. That was before the General Assembly became totally dysfunctional. At least now the service boards are willing to coordinate, but only to reduce overall costs. I don't think that the state is in the mood to impose an unfunded mandate on Metra to accept CTA transfers, especially since the state is broke, cut back aid to transit, and now is taking a 2% cut out of sales taxes. If there's any sort of argument that it shouldn't I'm all ears. Obviously, you aren't. I said before that it is up to the propents to demonstrate that there is sufficient CTA passenger demand to transfer from CTA buses for 25 cents to the ME. You didn't. That is the core economic issue. You said those north of 95th don't need to, but you haven't said why the destinations of passengers originating south of 95th are any different. Finally, this had been stewed from about 2000 through 2015. I don't know if you are too young to be aware of any of this or how a case for something is justified in a business sense, but if you aren't, you are just engaged in rehash. Taking the Electric District line out of the hands of Metra isn't imposing an unfunded mandate on Metra. It's taking an unfunded mandate out of Metra's hands, if anything, since Metra loses money on the MED. It's imposing a mandate on the CTA to run that service instead. But we're already considering imposing a mandate on the CTA, the state, and the city in the form of the $2 billion budget for the red line extension, which could be accomplished for cheaper by renovating the MED into an L line. The state is broke, which is all the more reason that the gray line makes more sense than the red line extension. The passenger demand to justify the extension of the L below 95th street is the entire rationale for the red line extension. No additional rationale is needed to justify why turning the MED into an L line, with rapid transit headways and rapid transit prices, would serve to meet that demand just as effectively as extending the red line. Why wouldn't it? The red line extension has been stewed over for a lot longer than this, as I'm sure you're aware. And there've been plenty of indications that people are taking the gray line more seriously than they have in the recent past - and my guess is we're going to see a lot more people taking it seriously when it becomes apparent that the Trump administration has no intention of funding the red line extension that Rahm just promised south side voters. This is my final post concerning the Gray Line, which by the has its own thread (also under Gold Line). As stated before, CTA has no desire to run Highliners nor a suburban commuter service to University Park. CTA has no incentive to compete with itself on the mainline nor South Chicago branches. Assuming that the ME could be converted to accommodate current CTA rolling stock and service (which it can't), that would require an entire rebuild of the ME which would cost way more than $2 billion dollars. And that doesn't include money for fleet expansion. It's dead. Let it stay dead. And, so do you have the money for CTA to run it? Neither the CTA nor the state has. Again, you show total ignorance of economics. But we're already considering imposing a mandate on the CTA, the state, and the city in the form of the $2 billion budget for the red line extension, which could be accomplished for cheaper by renovating the MED into an L line. No. CTA is applying for a grant. I don't know if it will get one, but nobody is mandating that it make the application. If there are any, post verifiable links to it. 2 indications that there are not are that Hyde Park, which was somewhat behind it, now says it is satisfied with the scheduling restructuring and when the Red Line was completely down, nobody demanded free transfers and few took advantage of the combo 10 ride ticket and 5 day CTA pass. Finally, as @artthouwill pointed out, there is another topic for that.THIS IS NOT IT. If you want to keep beating this dead horse, do it there. Assuming we convert the entire 31-mile MED, that's about $800 million. If we ballpark daily ridership to be around 30-35k, comparable to the pink line, that means the line will be using about 50 cars. Let's say they're all-new 7000s (even though there's no need for them to be, since the CTA will have plenty of older cars floating around once the 7000s start getting delivered) - that's what, $100 million? Probably less, given the contract options. I'm just not seeing how this winds up costing "way more than $2 billion." So best estimates put converting the entire MED into an L line at under half the price of adding a couple miles of new track to the red line. It'll be easier to find <$1 billion for MED conversion than >$2 billion for red line extension. If you're going to make an argument on cost, that's an argument for the gray line, not an argument against it. Let's say they're all-new 7000s (even though there's no need for them to be, since the CTA will have plenty of older cars floating around once the 7000s start getting delivered) - that's what, $100 million? To demonstrate that you are totally in fantasy land, the proponent of the Gray Line had some railroad experience and recognized that only FRA compliant cars, not tin cans, are allowed on railroad trackage. FRA compliant cars cost something like $4 million each. Also, I really doubt one would be allowed to run third rail down the middle of 71st St. This whole thing is preposterous. I've already addressed this point: keeping the MED in FRA compliance makes no sense to me, since freight trains don't actually use it. I differ from Payne in this respect. The South Chicago branch of the MED is peripheral to the discussion, and it wouldn't cost anywhere near $1 billion to grade separate some track on 71st. It's plainly not preposterous at all: serious transit analysts have been saying it's the most promising L expansion project available for years. What's preposterous is spending $2 billion on a couple miles of new track that's adjacent to track that Metra is squatting on and underutilizing. 've already addressed this point: keeping the MED in FRA compliance makes no sense to me, since freight trains don't actually use it. I differ from Payne in this respect. Which means (since you are in no position to waive federal requirements), STRIKE THREE, YOU'RE OUT. Even if it isn't freight trains, it crosses freight lines and uses the same tracks as Metra trains. The entire point of the proposal is that the MED wouldn't be a Metra line anymore, and so would not use the same tracks as Metra trains. Elevating those sections of track that cross freight lines is not a significant barrier to the proposal. What exactly is the source of your opposition to a project that every independent transit analyst thinks is a no-brainer? So, your harebrained proposal is to double level the MED right of way, sort of what is proposed for the extension, but 20 miles instead of 4? Or are you going to lay third rail on ME right of way? If you had read what I posted above you would know. that every independent transit analyst thinks is a no-brainer? One, that's your assertion, and second, something that you say would cost $1 billion, but probably $4 billion, and HAS NO SOURCE OF FUNDING for capital, and certainly none for operating, which you totally ignore. If you say that the independent transit authorities back this, post verifiable studies from them that back up the cost and revenue estimates and provide a source of funding. You can't, and I won't take your word for this assertion. There is no need to double level MED right of way except where necessary to avoid freight trackage. Laying third rail would seem the optimal proposal to me, since using L cars instead of commuter rail rolling stock would drastically reduce operating costs. People have been talking about this for years. It's a good idea. The problem is getting Metra to surrender the line to the CTA, which is going to require action at the level of the state government. In the past that's seemed like an insurmountable obstacle, but it's not any more insurmountable than getting the Trump administration to fork over $1 billion for a few red line stops. The problem with the proposal is not that it's too expensive or too difficult to engineer, since it's neither of those things - certainly not compared to the red line extension, which is the alternative. At least you posted something, but something I saw about 5 years ago, and which has 12 year old ridership figures, and which no one has moved on. That process got "derailed" on designing new stations and stuff. Also, it doesn't support your cost estimates, because page 32 says it studied "Gray Line (all MED service);" Only things it studies that were different were on the South Chicago branch, which you disclaimed. The only thing I would consider feasible is converting the South Chicago branch to LRT, but that report says "Given the current financial condition of CTA, this seems highly unlikely. In addition, it is expected that a share of the ridership would come from existing CTA services that might not be able to be substantially reduced or terminated. ": In short, not a no brainer. You think your project is any easier? At a minimum, in 2018 (not 2006) someone would have to study what the effect of the recent service changes were, which gave Hyde Park 20 minute offpeak service. Yes, I understand that, which is why I said "which would cover about half of the MED track length." So double the figure. Add a couple hundred million to it for good measure. It's still a lot cheaper than the red line extension. I never disclaimed the South Chicago branch, I simply said it was peripheral to the proposal, which it is. Giving Hyde Park more frequent offpeak service is a nice perk, but the main draw of the gray line is that it lets the L reach south of 95th for a fraction of the cost of the red line extension. Benefits north of 95th are just gravy, they're not the point of the proposal. Right now the city has decided it needs to extend the L south of 95th. It estimates the red line extension will cost $2 billion. Converting the MED to rapid transit service would cost much less, be a lot quicker, and have benefits further up the track. So long as we're talking about extending the L past 95th, the gray line is indeed a no-brainer. but the main draw of the gray line is that it lets the L reach south of 95th for a fraction of the cost of the red line extension. Benefits north of 95th are just gravy, they're not the point of the proposal. That's not what its proponent claimed. He claimed it was to bring economic development to Chatham, which is 79th St. If your only concern is south of 95th, the cheapest way to do that is to convert 108 to BRT, something which was originally proposed for this project, and might be a subject of the S. Halsted Coordination Project. Certainly much less expensive than your convoluted proposal. You repeating "no brainer" only reflects on yourself. I'm not Payne, I can't speak to why he chose to hinge his argument on economic development in Chatham. The cheapest way to do anything is BRT. 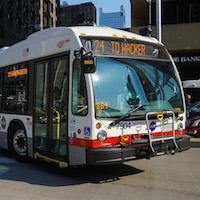 The city has decided BRT isn't sufficient, and that the far south side needs an L line. Maybe that's the wrong decision on the merits, but scaling back the red line extension to BRT isn't going to fly politically. The choice is to either expand the red line, or to convert the MED into an L line. The latter is much cheaper and quicker to implement. Do you have any actual arguments as to why the red line extension is better, on the merits of the policy, than turning the MED into an L line? Nothing you've said so far makes sense as a criticism of the gray line proposal as opposed to the red line extension. You're perfectly within your rights to oppose both the gray line and the red line extension, but if you want to argue that the red line extension is better public policy you're going to have to give actual reasons. The latter is much cheaper and quicker to implement. Not the way you designed it, with the need to build overpasses and wait for 2600 series cars to come off the Blue Line, or 7000s after the Blue, Orange and Brown Lines are reequipped. So, your project can't be completed until 2026, either. You're perfectly within your rights to oppose both the gray line and the red line extension, but if you want to argue that the red line extension is better public policy you're going to have to give actual reasons. Now, you are certainly dealing in strawmen. Why don't you ask Emanuel about that???????? As I said, it is up to the proponents of anything to justify them. You are the proponent of this mess; the burden is on you, not me. You have not given any source for the additional operating costs CTA would have to assume, and why it would want to assume them or why the legislature should stick that burden on CTA. Last I checked, the 7000s were supposed to start arriving in 2020, not 2026. How many overpasses can you build for a billion dollars? Hundreds? How many are needed? Three or four? This doesn't seem like a serious complaint. The green line is barely 1000 feet from the MED south of the Loop. Connecting the two would cost in the tens of millions of dollars, assuming a cost of about $250 million per mile of elevated track. Non-issue. The proposal relieves bus congestion at 95th because everyone who lives closer to an MED stop than to 95th will simply get on the gray line, or a bus to the closest gray line stop, instead of a bus to 95th. It may not alleviate bus congestion to the same extent as extending the red line, but the 95th station is adding capacity as we speak. The legislature should stick the burden of the additional operating costs on the CTA because it's a more efficient way of providing L service south of 95th than extending the red line would be. Adding lines of service always adds additional operating costs. If the ridership is high enough, the operating costs become worth it. The gray line will be guaranteed to have more ridership than the pink line (the MED, with its lackadaisical headways, already matches the pink line), and could rival the orange line - are you suggesting the CTA eliminate those lines to save on their operating costs? Don't be preposterous. The advantages of the gray line are numerous: it's cheaper to build than the red line extension, it's quicker to build, it's less reliant on the largess of the Trump administration, it'll serve neighborhoods north of 95th that the red line extension won't touch. The disadvantages, as far as I can tell, start and end with the notion that operating costs would be higher than they would be on the newly-expanded red line. Yeah, they would be. Who cares? If the CTA thinks the pink line is worth its operating costs, which it clearly does, why are the operating costs of the gray line a dealbreaker? And the gray line, unlike the red line extension, allows for the complete elimination of various redundant bus routes along Lake Shore Drive. Start, not finish. So people riding the Blue Line are supposed to be screwed pending your fiasco? The proposal relieves bus congestion at 95th because everyone who lives closer to an MED stop than to 95th will simply get on the gray line, or a bus to the closest gray line stop, instead of a bus to 95th. An assumption you made without any verifiable customer research (you are assuming that those passengers are not going to destinations other than Hyde Park or Michigan Ave., and hence don't want Red Line service), and therefore rejected. The legislature should stick the burden of the additional operating costs on the CTA because it's a more efficient way of providing L service south of 95th than extending the red line would be. Not unless THERE IS A SOURCE OF THE MONEY OR A SUFFICIENT OFFSET FROM CURRENT OPERATING COSTS TO PAY FOR IT. No more pop tax justification of "we need more revenue." In that it is "more efficient" isn't correct either. How is operating a 15 mile extension to serve people south of 95th more efficient than operating a 4 mile one? Again where is your verifiable ridership numbers? As noted above, it isn't. Even if one believes that Trump is going to last that long, it still will need to go through the same funding process, including documentation of costs and projected ridership and benefits. Do you think anyone is going to hand out a grant without documentation? As for the Pink Line, it got a grant about 20 years ago, so unless you can prove that the feds would accept a similar application today, that's up to you. The choice then was either fix it or close it. This doesn't offer the same dilemma. So, again you have posed another strawman not worth answering. it'll serve neighborhoods north of 95th that the red line extension won't touch. I thought you disclaimed that purpose. YOU CAN'T HAVE IT BOTH WAYS. Besides, they already have Red Line service. Yeah, they would be. Who cares? The bleeping TAXPAYERS care. You want the RTA tax increased a couple of more points? And the gray line, unlike the red line extension, allows for the complete elimination of various redundant bus routes along Lake Shore Drive. Again, that's not your justification. I had said way back that CTA would have to eliminate the 14 bus and construct a transfer station at 71st to get any savings. The residents of South Shore, and the report to which you linked, indicated that they didn't want that. First tranche of 7000s delivered October 2020, 10 cars per month delivered thereafter. Assuming the gray line will require 50 cars (same as the pink line), the CTA would have enough to commence full operations February 2021. That's still not 2026. The rest of your complaints seem to evince a worldview that's fundamentally opposed to the very concept of expanding rapid transit. The red line extension will cost more up front than turning the MED into an L line. This has been credibly demonstrated. If your concern is upfront cost, the gray line is a better solution. If your concern is exclusively the CTA's operating budget, then yes, it makes more sense to spend $1 billion more upfront to build the red line extension. But there's no reason to focus myopically on operating budget. The gray line costs less up front, takes less time, and serves more of the city. In any event, Cambridge Systematics estimated the gold line would cost $60 million per year to operate. So maybe in ten to fifteen years the gray line will have cost more money to operate than it would have cost to extend the red line (after taking into account additional revenue from converts from Metra to the CTA, money saved eliminating bus lines, and the red line extension's own operating costs), but by that logic the CTA should have never built the orange line either. Maybe you would actually agree that the CTA shouldn't have built the orange line, but that's a pretty eccentric stance and well outside of the mainstream of Chicago politics. Expanding a transit network adds to that network's operating costs. That's normal and fine. I can have it both ways, easily. The gray line's primary purpose is to extend the L past 95th, which is a goal the city has already committed itself too. It does this more efficiently than the red line extension. Unlike the red line extension, however, it has additional benefits for people who live north of 95th. Yes, I want all state and local taxes increased (and a proportional income tax implemented). The state is undertaxed, which is why it's broke. But if your concern is the taxpayers' dollars, there's no reason for you to be supporting the more expensive red line extension over the less expensive gray line conversion. Even if Illinois and Chicagoland don't raise taxes a penny, the gray line still makes more financial sense than the red line extension. Edit: Even assuming no revenue connection to the red/green/orange lines and the Loop elevated at Roosevelt (which, again, would be trivial to construct), how long does it take to access the red line from Millennium Station via the pedway? Four minutes? This is another non-issue. The state is undertaxed, which is why it's broke. But if your concern is the taxpayers' dollars, there's no reason for you to be supporting the more expensive red line extension over the less expensive gray line conversion. Illinois isn't undertaxed & the state isn't broke because of taxes. Illinois taxes are far too high now, especially when you take into account the obscene local real estate taxes we have to pay & the even worse, corruption tax we pay, because Illinois is without a doubt the most corrupt state in the country! Illinois is broke because of that insane pension clause which prevents government pensions from being adjusted when the state's finances are bad, due to either downturns in the economy, people & companies leaving the state for greener pastures, but in this case, having to pay defined benefit pensions at a mandatory 3% COLA increase every year, even when Social Security has a COLA of zero! We also have too damned many government employees. If you don't believe that, go to any of the large Secretary of State offices for driver's licenses & car registrations, where there are dozens just pushing paper. Then we have 7,000 units of government, more than California & Texas combined, which have about four times the population than Illinois. The other states with pension problems don't have this clause. And it was the four Democrats on the state supreme court which has ruled every attempt to modify the pensions unconstitutional. The fact that they have an inherent conflict of interest in the case, due to the fact that they too will get state pensions, apparently doesn't bother them. No, my world view is that someone (including @mahatta)who has only assumptions ("Assuming....") thinks he can convince anyone by not having a plan, but arguing all over the place. Where the bleep did you get your 50 car "assuming"? Here's essentially what I told Mike Payne: If business people really support it: HAVE THEM TEACH YOU HOW TO WRITE A BUSINESS PLAN FOR IT. And for you: HAVE SOMEONE TEACH YOU HOW TO WRITE A BUSINESS PLAN FOR IT. Here's even a link. You'll need to do market research for it, too.